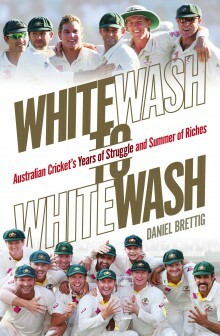 The longlist for the inaugural Australian Sports Book of the Year award has been announced. The award is being run by sports and racing bookmaker William Hill, which introduced the prize in Australia after Anna Krien won the UK Sports Book of the Year award in 2014 for Night Games (Black Inc.).Twelve titles were selected from 23 entries. 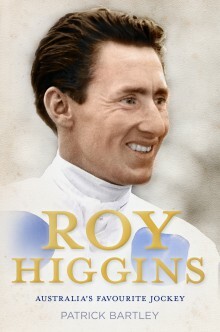 Everyone loved Roy Higgins. A warm and genuine character with a great sense of humour, the boy from the bush was known as 'The Professor' for his freakish ability to read the track and his easy eloquence. Higgins' racing record was extraordinary. He rode Bart Cummings' first Melbourne Cup winner, Light Fingers, in 1965, and was one of a handful of jockeys to win the grand slam of racing: the Golden Slipper, Cox Plate, Caulfield Cup and Melbourne Cup. Over his 30-year career, Higgins clocked up 2312 wins, including 108 Group 1 races. All this, despite a never-ending battle with his weight. Roy Higgins died in March 2014, aged 75. His televised funeral took place in the mounting yard at Flemington, a fitting tribute to the humble man who had a profound effect on horseracing for more than five decades as jockey, commentator and teacher. Eddie charts the incredible rise of Edward Joseph McGuire AM from his childhood in the working-class Melbourne suburb of Broadmeadows, through his nightclub days as an ambitious young sports reporter to the heights of Australian television, politics, radio and the AFL. 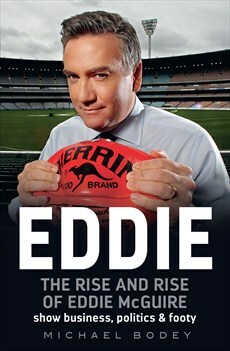 It covers Eddie McGuire's many triumphs, feuds, his missteps, his successes, the turnaround of his beloved Magpies and his seemingly unstoppable rise, this is the inspiring and unique story of the ultimate working-class boy made good. Watching Warne, McGrath and Langer leave the field for the last time after the 2007 Ashes whitewash, Michael Hussey knew that life was going to get tough for the Australian cricket side. With these stars retiring and more to follow, he wondered how the team could ever recover. This is the inside story of how it did. The boy from Carcoar was raised to believe he could do anything. At fifteen, he won his first medal. Then he conquered the world, winning three Paralympic gold medals, seven world championships and more than 35 marathons. 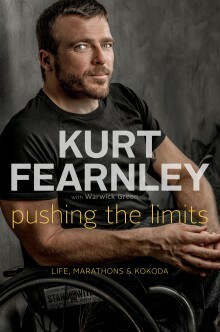 A world-beater in and out of his wheelchair, Kurt is a true Australian champion. 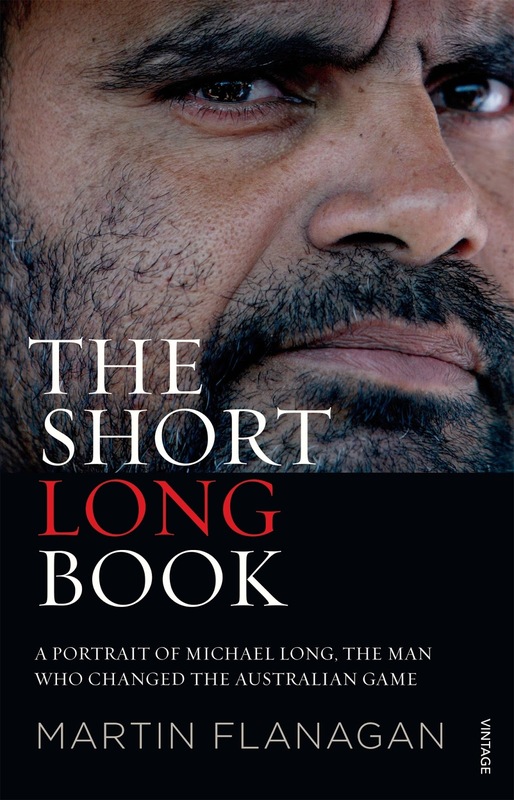 The short Long book : a portrait of Michael Long, the man who changed the Australian game / Martin Flanagan. In 1995, Aboriginal footballer Michael Long gave the AFL its ‘Mandela moment'. He quietly revolutionised Australian sport by refusing to let a racial insult pass during the Anzac Day match between Essendon and Collingwood. When the overwhelmingly white football public backed a black man against a white institution (the AFL), the culture of the game flipped and the AFL became a leader in Australian race relations. A decade later, he again impacted on the nation when he set out to walk from Melbourne to Canberra to confront the Howard government over Aboriginal issues. This is a portrait of a shy black kid from Darwin who became one of the most notable figures in the history of Australian sport, of a footballer who tore apart the 1993 grand final within seven minutes of the start, of a man known as a joker who is a serious social and political thinker. It is also the story of a white sportswriter who is taken to his limits, and a long way beyond, seeking to understand a man who can only be understood through his Aboriginality. Big, powerful, handsome, gifted and enigmatic, Sonny Bill Williams has the ability to get fans flocking, sponsors scrambling and coaches dreaming of winning dynasties. But 'SBW' is not like other footballers. He broke his Bulldogs contract mid-season to play rugby union for Toulon in France, leaving teammates shocked, fans enraged and the NRL threatening a life ban. Yet Sonny's star never dimmed. His legend only grew. When Sonny Bill returned to New Zealand, he steered the Crusaders to a Super Rugby final before leading the Chiefs to their inaugural title and helping the All Blacks with the Rugby World Cup...while becoming a heavyweight boxing champion. Then he returned to League and led the Roosters to a premiership before switching back to Union again for the All Blacks' 2015 World Cup defence. 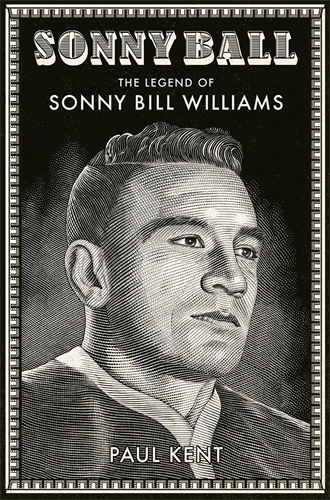 Along the way, Sonny Bill proved a modern truth - success is currency, memories are short, star power eclipses everything. What happened at Essendon, what happened at Cronulla, is only part of the story. 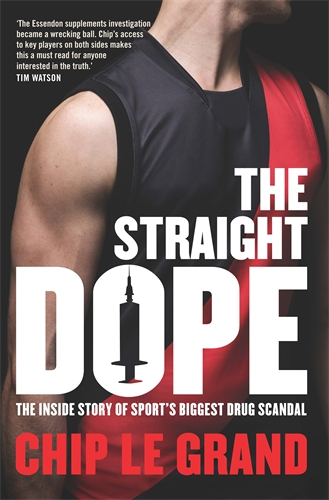 From the basement office of a suburban football club to the seedy corners of Peptide Alley to the polished corridors of Parliament House, The Straight Dope is an inside account of the politics, greed and personal feuds which fuelled an extraordinary saga. Clubs and coaches determined to win, a sports scientist who doesn't play by the rules, a generation of footballers held hostage by scandal and injected with who knows what, sport administrators hell bent on control, an anti-doping authority out of its depth, an unpopular government that just wants it to end. for two tumultuous seasons this was the biggest game in Australia. In November 2004, shopping centre billionaire Frank Lowy walked into a packed media conference and announced the creation of a new professional football league. Armed with $15 million of government funds, Lowy was about to wake the sleeping giant of Australian sport. The A-League kicked off in 2005. Over the competition's first decade it has seen more than its fair share of drama, on and off the field. International superstars have come to play, eccentric billionaires have bought and sold franchises, and clubs have folded after haemorrhaging millions of dollars. Yet the football has been passionate and captivating, and attendances and television audiences have grown as Australians have embraced the game as never before. Relying on unprecedented access to key figures in the code, John Stensholt and Shaun Mooney reveal the true story behind the A-League's first ten years: the egos, the power plays and the rows between some of Australia's richest men as they try to make the world game Australia's favourite sport. But the road to the top of F1 racing is long and full of deadly twists and strange turns. 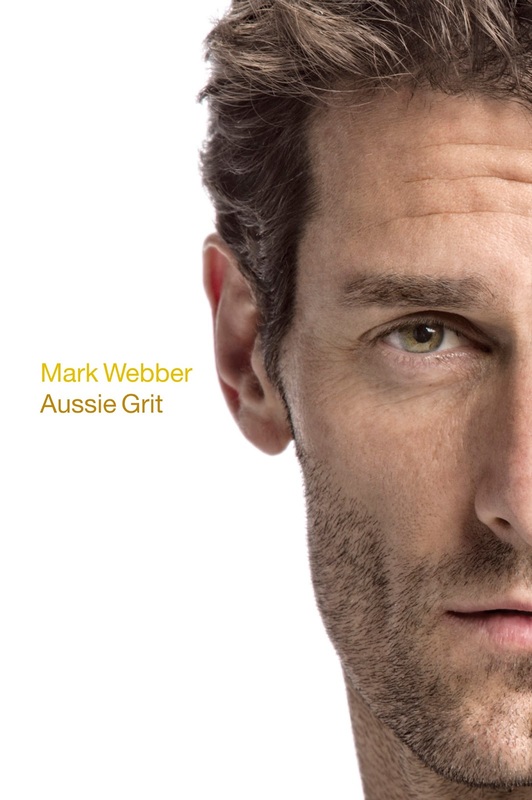 In his long-awaited Autobiography, Webber tells the incredible true story of the small town pizza delivery boy who climbed the apex of the world's most dangerous sport. With startling candour, Webber takes us on a thrill ride through the highs and lows of his amazing career, detailing the personal struggles that drove him, revealing the truth at last behind his rivalry with Red Bull Racing teammate Sebastian Vettel, and allowing us access-all-areas into a very private life played out on the public stage. This is a tale of innocents abroad. 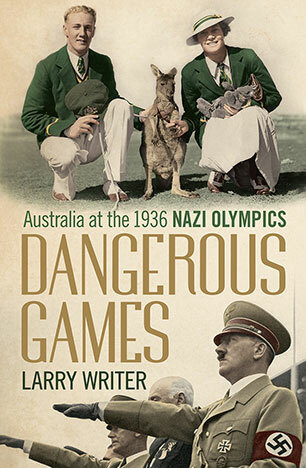 Thirty-three athletes left Australia in May 1936 to compete in the Hitler Olympics in Berlin. Believing sporting competition was the best antidote to tyranny, they put their qualms on hold. Anything to be part of the greatest show on earth. Dangerous Games drops us into a front row seat at the 100,000-capacity Olympic stadium to witness some of the finest sporting performances of all time - most famously the African American runner Jesse Owens, who eclipsed the best athletes the Nazis could pit against him in every event he entered. The Australians, with their antiquated training regimes and amateur ethos, valiantly confronted the intensely focused athletes of Germany, the United States and Japan. Behind the scenes was cut- throat wheeling and dealing, defiance of Hitler, and warm friendships among athletes. What they did and saw in Berlin that hot, rainy summer influenced all that came after until their dying days. Meet Jake Lever, Peter Wright, Isaac Heeney, Tom Lamb and Clem Smith. In 2015, they played their first game. In years to come, they could become stars. But first they had to be drafted to a club. Every year, hundreds of boys are put through their paces at AFL draft camps, training sessions, under-18 competitions and school footy matches. They all hope they will end the year signed to an AFL team. Meanwhile, clubs are making brutal calls on which young players will take them up the ladder. Too many bad recruiting decisions could set them back years. 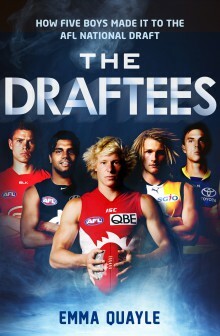 Emma Quayle, senior football writer for The Age and an expert on talent identification, tracks these five boys through 2014 – the year they nominate for the AFL's national draft. We meet their coaches and families. We ride the bumps and share the triumphs. With exclusive behind-the-scenes access to recruiters at St Kilda Football Club as they decide on their 2014 draft picks, Emma sheds light on what it takes to become an AFL footballer. For Jake, Pete, Isaac, Tom and Clem, hearing their name called out on draft day is just the beginning of their football story. But it takes a lot to get to that start line. An accomplished book about the genius and ingenuity of the game's greats (and the forgotten) and how they have shaped the game through the innovation of tactics. From Pagan's Paddock to Clarkson's Cluster, from Fitzroy's huddle to Sydney's flood, the tactics of Australian football have become part of the vernacular. In this groundbreaking book, ABC journalist James Coventry reveals the secrets behind them all. You'll meet the German gymnast who taught Geelong how to break the game from its rugby roots; the two Test cricketers who became footy's first great coaches; and the water polo player who shaped the modern AFL. Along the way you'll learn how South Australia pioneered the flick pass; how a rule suggested by Tasmania helped Collingwood win four straight flags; and how Fremantle revolutionised the use of the interchange bench. Time and Space is essential reading for any fan who wants to know why their team does what it does, and why it wins or loses. The shortlist will be announced on 13 October.